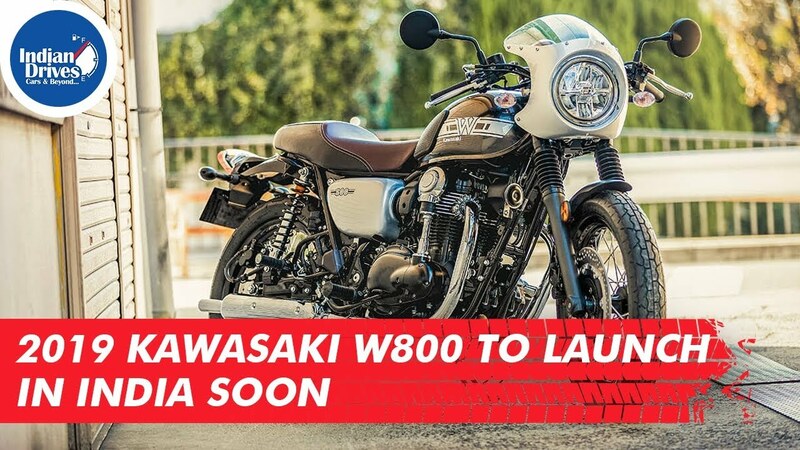 The 2019 Kawasaki W800 would be launched in India soon. The bike was slated for launch here back in 2016, but it was discontinued globally after it was found that it does not meet Euro-IV emission standards. The W800 is a successor to Kawasaki’s W series bikes with a vertical twin engine configuration. The India bound W800 would be powered by a 773cc, 47.5bhp vertical-twin air-cooled SOHC engine. The engine comes mated to a 5-speed transmission. The bike gets 41mm fork suspension along with a twin-shock suspension at the rear and 18-inch wheels. Once launched, the Kawasaki W800 will compete against the likes of Royal Enfield 650.